SixFoot expanded their internal development team to assist in YAGER's Dreadnought development. As an Associate Producer I have helped grow this team from 10 devs to over 50 and we are hiring more every month. My responsibilities include managing agile scrum teams via excel and JIRA, coordinating release schedules with YAGER, hosting internal playtests, and managing outsourced art contracts. The opportunity has allowed me to grow as a producer with an ever growing team and responsibilities. There is never a dull moment on the internal dev team and I wouldn't have it any other way. 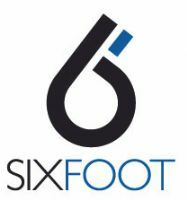 SixFoot hired me for my first industry position as a Produciton Coordinator on RiME. My responsibilities included coordinating and following up on action items in meetings with companies all around the world, maintaining the project's SPOT page that held all the up to date information and schedules, and worked with our QA lead to triage bugs across the four console platforms. My proudest achievement was hosting multiple company-wide playtests in the Alpha stage of development. With a supply closet turned into a playtest lab I monitored most of the company as they played RiME for the first time. The test identified many areas of the game that were too challenging for players. One change to an area of the game resulted in a 90% player failure rate decreasing to 20%. SixFoot rewarded my efforts as they promoted me to Associate Producer shortly after RiME shipped. At Epic Games I was a Production Intern working under Executive Producer, John Wasilczyk, on their recently announced title, Paragon. My tasks included scheduling and taking notes at meetings, removing team blockers, tracking tasks and bugs, and scheduling development. My time at Epic taught me what is needed from a top of the industry producer. Everyday I had a chance to work with hard working and passionate people that strive for exceptional quality. During the 2012 San Diego Comic Con, I asked Jeffrey at his panel for Assassins Creed: Brotherhood, for advice on how to get into the industry. He told me to be bold and to put myself out there. A year later I was flying to Montreal to observe Jeffrey at work and to interview the producers and leads of Ubisoft for a paper I was writing for my summer class at the University of Oklahoma. The interviews went very well and taught me many valuable lessons about leadership and management in the industry. James and I met through the University of Oklahoma's business college. James was a recent grad and had started GoldFire while attending school. I was James's first employee at the studio. My first summer at GoldFire I helped with design and marketing of the currents games, helped transfer the studio to the VentureSpur incubator, and worked on the pre-production of CasinoRPG, a game we funded on Kickstarter. During the second summer I helped with the design, marketing, and successful launch of CasinoRPG.